Over the weekend, an adult woman was filmed bullying a young entrepreneur selling water to raise money for a trip to Disneyland. As Chairwoman of the Board for Women Grow, an organization that supports women entrepreneurs and women-owned businesses, our own Dr. Chanda Macias felt compelled to make a difference. 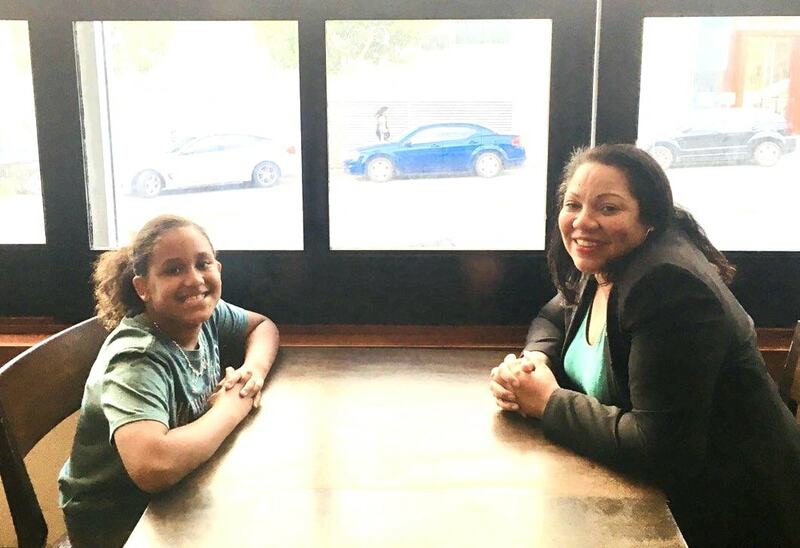 In response to the incident, Dr. Chanda flew to San Francisco early this week to meet with eight-year-old Jordan Austin, the young girl who was brought into the national spotlight. Dr. Chanda and Jordan shared stories, goals and business dreams. The National Holistic team is so proud of Jordan and we're thrilled to support her as a future woman entrepreneur. Read Dr. Chanda's statement and about her meeting with Jordan below! A friend once told me that the best thing you can do when confronted by darkness is to turn it into light. Last night, I had dinner with an ambitious young entrepreneur and her family. We shared stories, talked about her goals and most importantly, we talked about Disney. I wanted to meet Jordan and her mother in person to be certain they know that their community of support extends far beyond the Bay Area. I wanted to make sure they know that we are here and ready to help young people like Jordan develop and fulfill their dreams. Most of all, I wanted them to know that people care. I'm excited to be part of the network of support for Jordan's business dreams going forward, and I'm proud to share that Women Grow has awarded her a grant to cover the costs for her business license and permits. Now, more than ever, it's important that we support the young people in our communities. That means getting out from behind our computer screens and creating opportunities for real one-on-one interaction and mentorship. Together, I know we can make a better future for our children, but we need to start today and we need to start by taking action.